Not a single seat will be empty in the away end of the Etihad when Sunderland travel to Manchester for the first game of the season. The Black Cats will be backed by a sold out following during their opening fixture at Manchester City. David Moyes and Pep Guardiola will be leading out their teams for the first time in the Premier League shortly before the 5.30pm kick-off on Saturday, August 13. The game also marks the club's tenth succesive season at the top level. 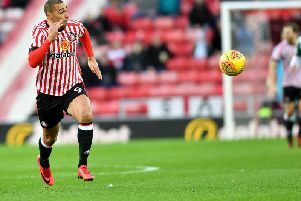 Fans can still buy tickets for Sunderland's second away trip which sees them head to Southampton's St Mary’s Stadium on Saturday, August 27 for a 3pm game.